Scientists study the germline of the roundworm Caenorhabditis elegans to identify the mechanisms that control stem cell proliferation and homeostasis, as well as to advance our molecular understanding of homologous signaling pathways humans. Recently, researchers have begun to describe the function of autophagy, a cellular recycling process critical for homeostasis, in germline stem-cell proliferation of C. elegans. Autophagy is a catabolic process common to all multicellular organisms. 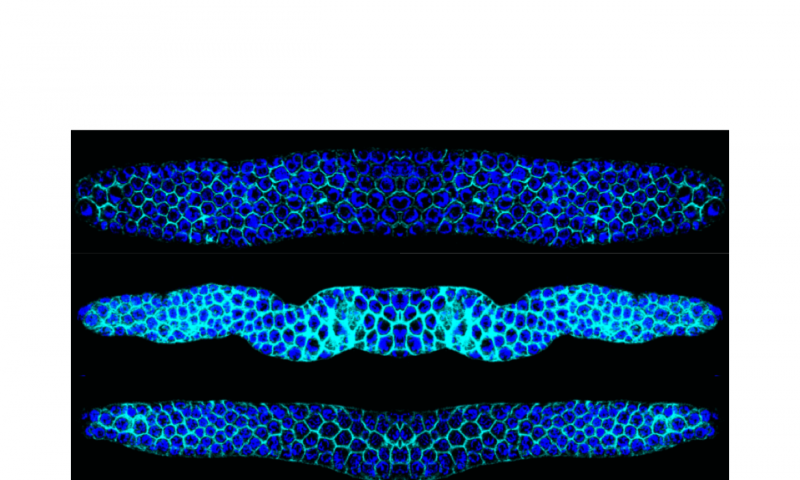 It allows cells to break down defective cellular components for reuse. Dr. Alicia Melendez, a biologist at Queens College, City University of New York (CUNY), and her colleagues report in Current Biology that autophagy is important for the proliferation of stem cells, specifically for promoting the cell cycle of stem cell progenitors. Interestingly, this process is active in the cells surrounding the proliferating stem cells. The researchers found that too much or too little activity by the autophagy protein BEC-1 in neurons, muscles and the intestine is detrimental to germline cell proliferation. This discovery suggests that autophagy has to be finely controlled in surrounding tissues to ensure germline cell homeostasis. Dr. Melendez said, "What was really interesting for us was to think that the growth of stem cells can be controlled by distant cells. This is very novel." Beclin 1 is the human homolog of BEC-1, has been shown to be monoallelically deleted in up to 75% of various human cancers. Therefore, the insights of Dr. Melendez and her colleagues may deepen our understanding of cancer and aid in the development of therapies against malignant cell growth.